Alex Hampson: founder-director of Coventry-based organisation Wild Earth, community & inner city youth-worker, expert bushcraft-survival instructor, outdoor first-aider, musician and environmental educator. Alex is unusual in having a mix of Native American, Australian and English ancestry - a mosaic that has certainly influenced his life, and no doubt contributed to the incredible well of creativity from which he draws. Alex is tremendous fun, gifted with children and delivers a highly-skilled wealth of practical knowledge. Emma Trayfoot: skilled wildcraft instructor, wool-worker, herbalist, land-lover and craftswoman. Emma graduated from the year-long training with Trackways and has since run wildcraft courses at Epona for women, bringing much in the way of ‘native knowledge’. She also keeps her own sheep, hand-shears, dyes wool using plants from the land, and spins using traditional methods. She is founder of a fledgling housing coop, has a beautiful singing voice and is a capable permaculturalist. She carries sharp intellect, invaluable knowledge of the land, gentle strength and warmth of heart. Colin Campbell: traditional African doctor (Sangoma), rites of passage facilitator, lineage-carrier of traditional indigenous Southern African wisdom, public speaker, diviner. Colin was born and brought up in the wilds of Botswana, learning direct from San Bushmen, undergoing traditional initiations & rites of passage, and was schooled in the arts of traditional African medicine and divination. He has a degree in Psychology from Cape Town University, runs a client practice, and is an experienced facilitator of ritual and process psychology, offering programmes internationally. Colin has worked closely with many traditional peoples including San, Venda, Native American, Amazonian, Inuit, Tsaatan and Saami. He has read widely, is full of valuable insight, drums like a demon, and brings a deep ancestral thread into modern contexts. Tor Loram: powerful hearth-keeper, peace-maker, low-impact liver, carrier of practical native knowledge, musician and mother, based in Chagford, Devon. Tor teaches by example, walking her talk. She has guided treks in the Himalayas, traveled nomadically researching the social technologies of low-impact community-living, and over-wintered on Dartmoor in a small yet impeccably organised yurt with her husband and two children. Tor has a profound and productive relationship with the land at Epona, and is also an accomplished performance musician and teacher. She is currently training in shamanic practice and has the ability to turn personal challenges into gold. Her presence transforms community for the better in subtle yet vital and wonderful ways. Charlie Loram: multiple travel-guide author, wildcraft-survival & nature awareness instructor, environmental educator, family man, low-impact liver, Alexander Technique therapist, mountain leader and (former) Himalayan trek guide - based in Chagford, Devon. Informed by his time living amongst the gentle indigenous communities of Ladakh and his wildcraft training in the lineage of renowned medicine tracker Tom Brown Jr, Charlie is an active native of these lands, embodying his commitment toward being at home in nature and alive in spirit. He has a special working relationship with Regenco’s land Epona, where he also runs courses for local school children. Charlie has co-pioneered and been invoved in a number of Regenco programmes over the past decade. Suzannah Uren: vibrant wild-woman, rites of passage guide, holder of ceremony, playful presence, practiced facilitator, dancer, mother and therapist. Based in South Devon, has a passion for supporting people through significant life transitions, especially young adults and their parents in separating from each other in a conscious and healthy way. Having worked as a nurse in intensive care for many years, she took her gift of listening into counseling and therapeutic work, and runs her own thriving therapy practice. Jeremy Thres: founder of Regenco, wilderness quest quide, lover of story, carrier of council, theatre-skills facilitator, public speaker - based in Manaton, Devon. Jeremy has been involved in work of this Nature for 20 years. He trained with Steven Foster and Meredith Little of the School of Lost Borders, pioneers in the resurgence of modern wilderness rites of passage, and also trained in Core Process Psychotherapy with the Karuna Institute to further support this work. Jeremy has studied with a number of elders both from this land and beyond, Tich Nhat Hanh and Martin Prechtel important among them, this experience lends a rich pan-cultural context to his facilitation. He has huge heart. Henrietta Payne: Mother of three, chi gung practitioner and increasingly teacher, and fine artist, Hen has a great love of the Land and interest in its health and health of people. She is a member of Regenco‘s general council and though living on the South Moor, is a relatively regular visitor to Epona. 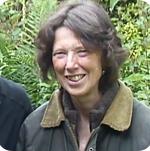 Gill Westcott: Lived on a small holding for many years raising two sons, and where she gained experience hosting a very successful regular family camp and working with young people. A musician and trained counsellor, Gill first participated in our Vision Fast work many years ago and more recently as staff on our Landtime programme. She is interested in supporting people to feel at home and independent in Nature and in themselves and works with Transition initiatives and others towards Earth-respecting, sustainable and mutually supportive communities'.